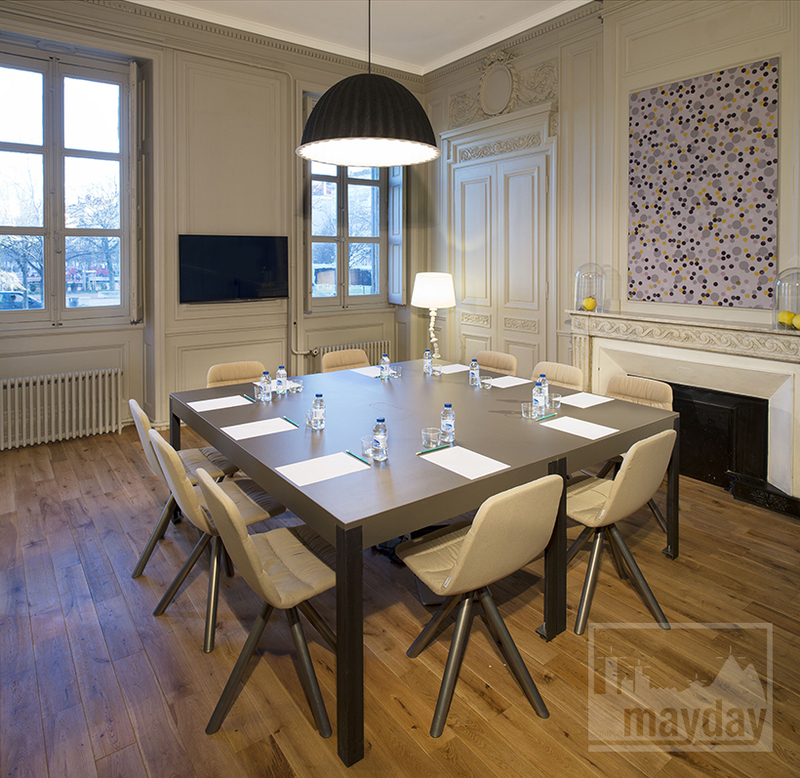 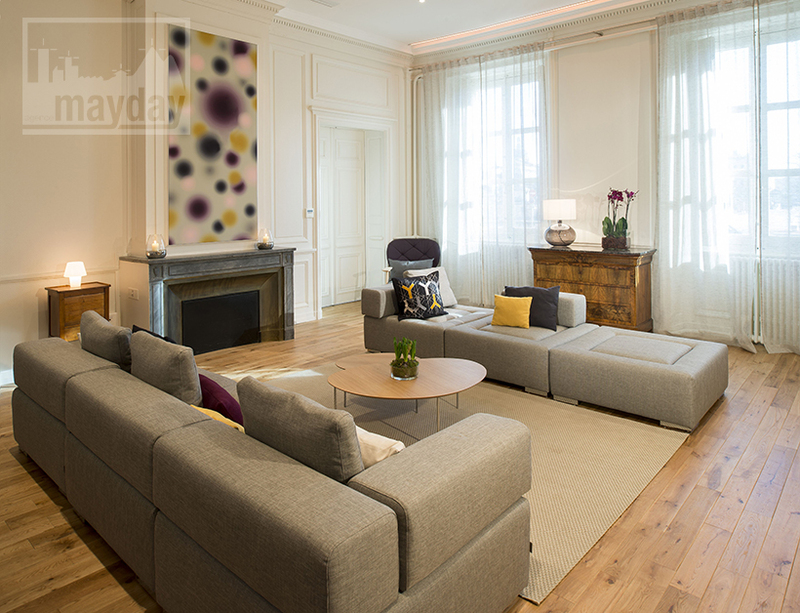 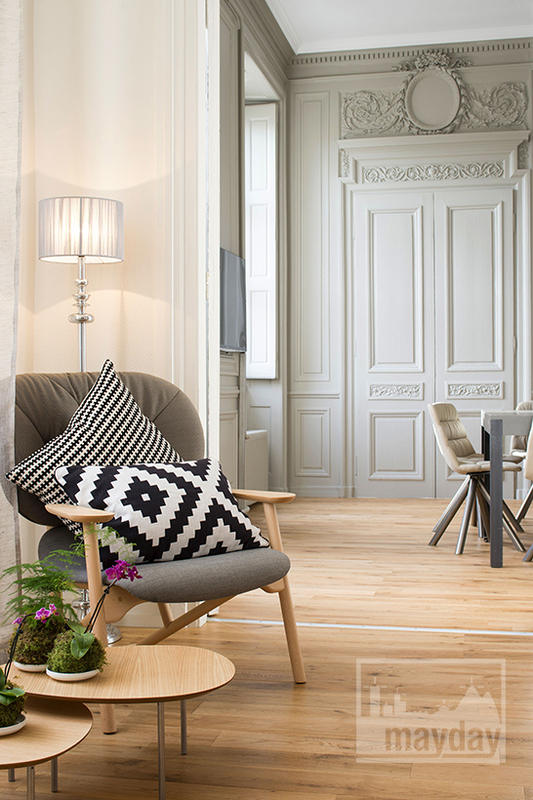 Classy haussmannian apartment in the heart of Lyon (clav0012) | Agence Mayday, scouting agency | Best location for your project concerning : feature films, TV, commercials, promos, photo shoot & events. 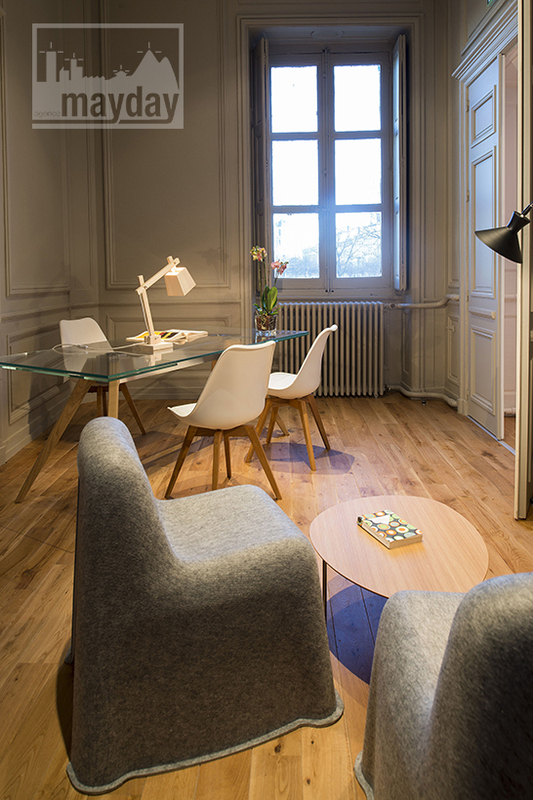 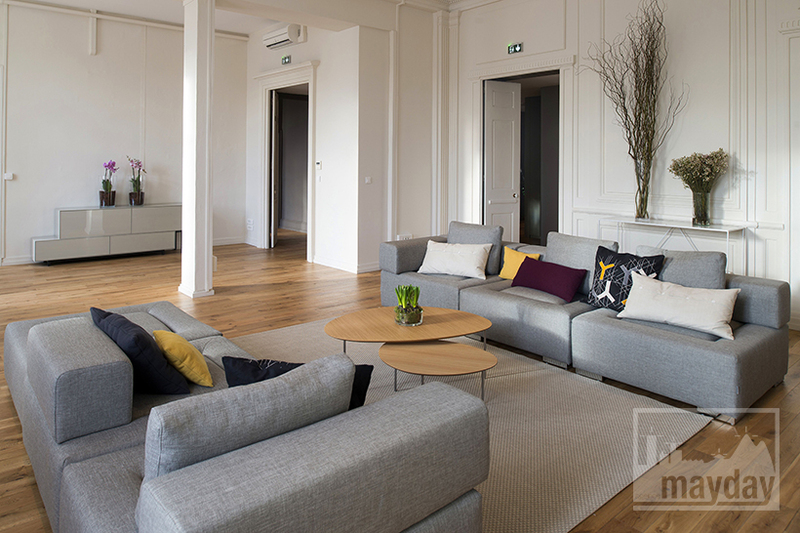 This renovated flat has been designed for receptions, meetings, seminary and workshops. 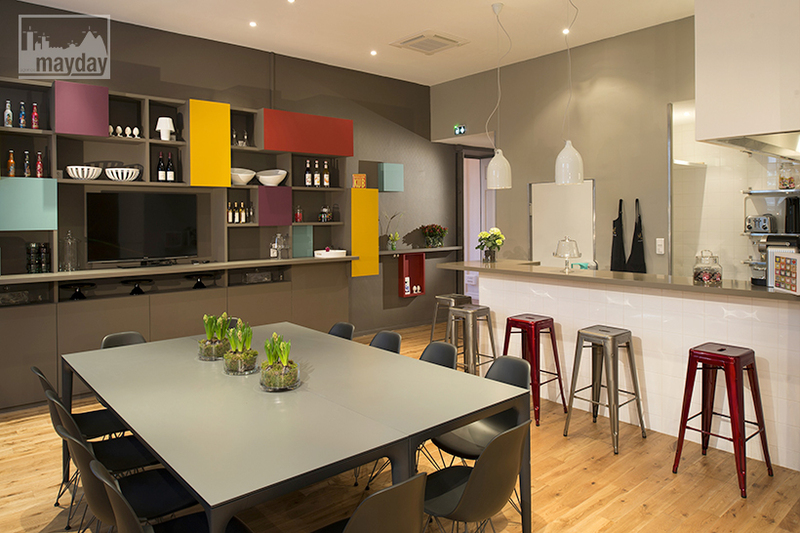 Video equipment available. 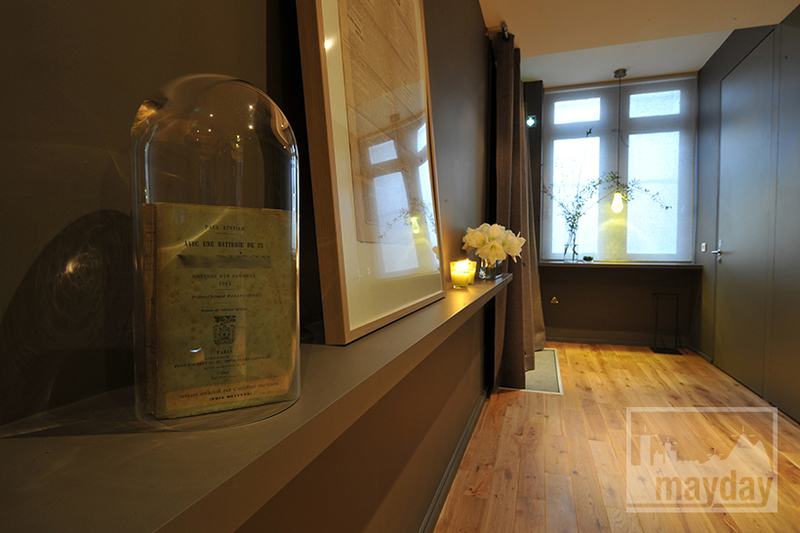 Contemporary chic and sober decoration.